Agxecutive launches on ZF Live ! Florin CONSTANTIN, Founder and Alina DOBRA, Managing Consultant of AGXECUTIVE, have been invited at ZF Live. They have provided live details regarding the positive dynamics of the HR dimension of the agribusiness sector and have explained the proprietary concepts of the company forming the Executive Recruitment(R) service: among them Fast Profiling(R) and Active Sales(R). 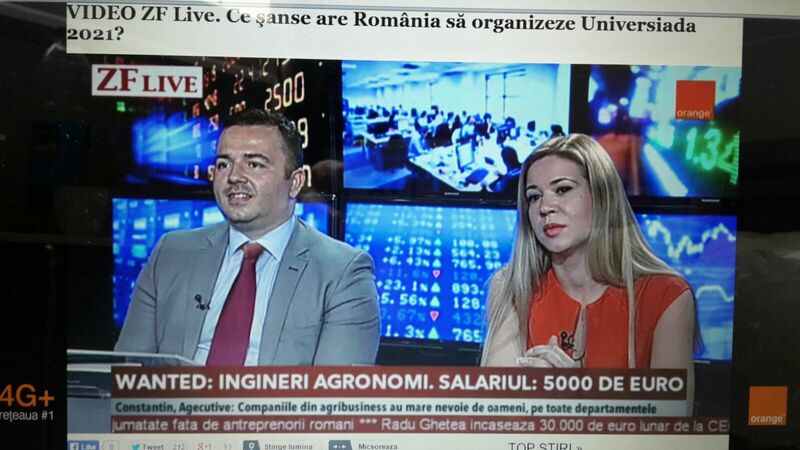 The discussion has highlighted the importance of a structured recruitment process of the managers, in a context marked by an increased interest of the investors for the Romanian agriculture, but also a reduced pool of candidates, with relatively few profiles providing solid proof value, from both experience and technical knowledge point of view. This puts the employers into a constant difficulty to find the necessary talents for the implementation of their development strategies. The interview enjoyed widespread viral dissemination among the agribusiness professionals who saluted the launch of AGXECUTIVE.